#AskAlan mailbag: Who is the most talented player on the PGA Tour? 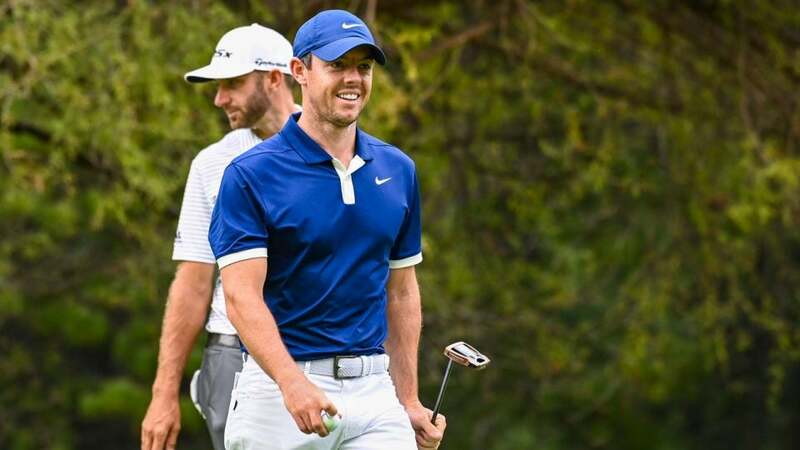 Rory McIlroy and Dustin Johnson pictured at the 2019 Players Championship. In this installment of the #AskAlan mailbag, GOLF senior writer Alan Shipnuck fields questions about the most talented PGA Tour player, Rory McIlroy’s Players win, Brooks Koepka’s drastic weight loss and more! Your question begs another: what is talent? I could argue Brian Gay is the most talented player on Tour – he hits it so short, and sometimes crooked, but his unique *talent* for scoring has helped him win a handful of tournaments and make a great living. But you’re employing the word the way most people do, in which talent is an ephemeral mix of power, soft hands, scoring ability, flair, swagger, and the ability to make the difficult look easy. I think by this definition DJ and Rory are the clubhouse leaders, though Brooks and JT warrant consideration. But do we factor in the ability to win the big one, or is that a separate thing? If I had to pick one player to shoot a 65 on a tough course to save my life, I’d take Dustin. If I had to pick one to close out a one-shot lead in the final round of a major championship, I’d choose Brooks. If this quartet of talented players all have their B-games, who wins? Probably Dustin. If they are at their absolute best across four rounds who wins? Rory. He’s more explosive than Brooks and a flintier competitor than Dustin. But McIlroy is also the worst putter of the bunch, even though he has improved significantly over the last year working with Brad Faxon. Is putting part of the talent discussion, or is that a dark art that must be considered separately? We’re falling down the rabbit hole here. Maybe we should look to the scoreboard for answers. Rory now has four major championship victories, a Players and a FedEx Cup. Thomas is four years younger, so maybe he can close the gap. But for now we’ll let the results answer the question. The meaning of talent can be debated, but trophies are definitive. McIlroy was as impressive after his victory as during. His meditative press conference was a tour de force of perspective and hard-earned wisdom. He said he pursposefully didn’t offer a lusty celebration on the final green because he doesn’t want to get too high in victory, which will help not get too low in defeat. He no longer wants to be defined by his results; this should allow him to enjoy better ones. But McIlroy’s stoic demeanor harkened back to Koeopka’s non-celebrations at Shinny and Bellerive. If the victor doesn’t exude joy it’s hard for the rest of us to feel it, too. Tiger always gave it up: fist-pumps, tears, megawatt smiles. Those were the rare moments when he let us in, when we could feel how much he cared. Those Golf Channel guys had been on-site for a whole week, investing lots of hours and emotions in making the Players the be-all-end-all. I guess they felt cheated by Rory’s withholding. But I agree with your thesis that McIlroy’s healthy outlook should help him in the long run. Both would be surprising, but 10 is a monstrous number. Only two players in history have taken six major championships in their career, and both are legends: Trevino and Faldo. McIlroy would have to have their entire careers from this point forward to get to ten. Having turned pro so young, he has sustained a lot of wear and tear for a guy about to turn 30. And McIlroy has talked openly about wanting to have kids – that is likely to happen soon, and that’s a huge adjustment for any vagabond golfer. I’d love to see him make a run at it but 10 seems out of reach. Given his abysmal Ryder Cup record, probably not. But he’s a template for what the U.S. needed – a gritty, precision player – which is why last fall I was advocating so hard for Zach Johnson as a captain’s pick. Le sigh. Jim Furyk finished second to Rory McIlroy at the 2019 Players Championship. Yes, if for no other reason than the induction ceremony has become a TV-driven spectacle, and the Hall needs warm bodies for programming. Therefore, every marginal candidate is going to get in. 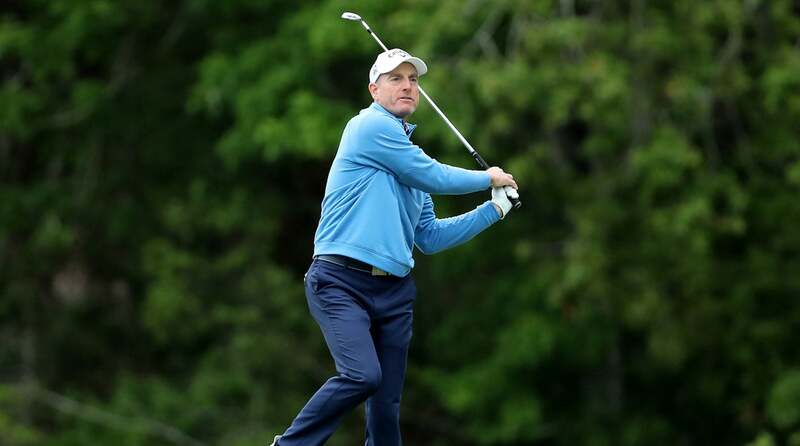 Furyk’s credentials are certainly borderline: a mere 17 PGA Tour wins; minimal overseas success; only one major championship…on the worst U.S. Open course in recent memory. His lifetime record in playoffs is 4-8, his Ryder Cup record an astonishing 10-20-4. But he does have some strong secondary credentials: led Arizona to its only national championship; a 59 and 58 on the PGA Tour; the 2010 FedEx Cup; and fourth all-time in money earned, which speaks to his numbing consistency. There is also the Freddy factor. Couples’s resume’ is so thin (15 wins, one major) that, since his induction in 2013, pretty much every very good player that follows can stake a claim to the Hall. Eight or nine months ago I would have said heck yeah, but since then Fleetwood has been struggling mightily on the weekend whenever he’s in contention: 144 finish at Carnoustie; 74-71 at Firestone; 72-75 weekend at the HSBC; Saturday 74 when he had a shot at the Race to Dubai; Sunday 73 at Hong Kong; 144 weekend in Mexico City; Saturday 76 at Bay Hill. During the final round of the Players he kicked away the tourney twice. Fleetwood played the first 11 holes in two-over, failing to make a single birdie and getting leapfrogged by a half dozen players. He rallied to make a stellar eagle on 16, which meant he might be able to catch Rory with a birdie-birdie finish. To Tommy’s credit he went for the flag on 17, but the errant tee shot ended his bid with a sickening finality. That’s a lot of scar tissue in a short amount of time. Fleetwood clearly has the game to be a threat at every major but before we worry about him winning one he needs to rebuild his confidence during crunch time. It’s true that the par of any given hole doesn’t really matter – the player who wins is the one whom take the fewest strokes across four rounds, even if that means making 3s on cupcake par-5s and taking 5s on killer par-4s. The pros are exploiting outdated course architecture. Many par-5s are relatively easy off the tee; the designers know that players of every ability will be swinging a driver so they make generous fairways to accommodate the wider dispersion. Whereas one of the goals of a good par-4 is to ask difficult questions on the tee shot. So on most par-5s the pros bash away with impunity. No, this is not my burner account. And while I appreciate the critique, I think this is going to be the norm with Koepka. Even when he wasn’t winning tournaments he had an inflated sense of self. Now that he’s picking off major championships at a furious clip, he has validated his belief that he’s a player of historic importance. Therefore, expect Koepka to play his heart out at every major and continue to conserve his mojo at everyday Tour events. That may be frustrating to fans, but it’s not a bad recipe for golfing immortality. Brooks Koepka pictured at the 2019 Players Championship. This is so utterly bizarre I don’t even know where to begin. The guy is on a historic run and decides to completely change his body? We’ll find out soon enough but it’s hard to imagine any explanation making sense. Yeah, the Players is a nice add-on once you’ve won actual majors, but it’s lacking gravitas as a stand-alone accolade. Ditto the FedEx Cup. Objection, leading the witness! But I mostly agree. The only way to make a double eagle (four-under par on one hole, per basic math) is to ace a par-5. Pin position is more pleasing, phonetically, but even with the new rules it doesn’t quite hold up when describing a tough putt. If the pin is not in, you’d have to say it’s a tough hole location, right? You need to give up. I have, and so it takes all the stress out of it. Last week I narrowly missed an ace but I felt nothing, because I am now an empty vessel, devoid of hope. It’s much better this way.